The only thing worse than having no family at all, is having a family that is out to hurt you. That would all be bad enough for a normal 17-year-old, but it’s even worse for Alec Graves. A shape shifter’s pack, his family, is the only thing stopping the other preternatural creatures out there from killing them. Alec’s pack isn’t just neglectful, he’s pretty sure that his father wants him dead. Alec is about to be sent to the front lines of a war between his people and everything else that goes bump in the night. His only chance of survival is to convince everyone around him that he’s the perfect soldier, but there are lines that Alec won’t cross, not for any price. Get your copy of Bound today! Adri just wants to make it through the next two years of high school so she can graduate and go out on her own, but she’s in for a big surprise. Adri is about to develop a unique power that will thrust her into a shadowy world filled by preternatural creatures who want to use her for her own ends or barring that, kill her to keep her out of someone else’s hands. At home, at school, even in her own dreams—nobody is who and what they say they are, and her time is running out. The only thing she knows for sure is that if she doesn’t trust anyone, then she’s as good as dead. Get your copy of Hunted today! Adriana Paige has survived not one but two vampire attacks in less than twenty-four hours, and unless she’s able to master her ability to share other people’s dreams, the attacks are only going to get worse. Taggart has promised to train Adri, but he’s got even more enemies than she does and there’s no guarantee that he’ll be able to keep her from being caught in the crossfire. More than anything else, Adri wants to talk to shape shifter Alec Graves, but he’s gone strangely silent. There’s no way for Adri to know if that’s because he’s no longer interested in her, or if it’s simply because he’s still on the run from his ruthless father, Kaleb. As enemies both new and old start closing in on Adri, she’s starting to worry that she might be forced into choosing between Taggart, the man who saved her life, and Alec, the guy to whom she feels inexplicably connected. 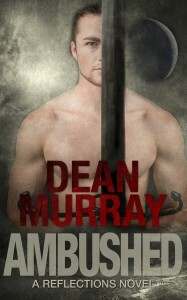 Get your copy of Ambushed today! A hidden world full of danger and love. A powerful dream walker, Adriana Paige spends her time reaching into other people’s dreams and ferreting out terrible secrets the rebellion desperately needs. Someday she’ll become the perfect weapon—if she survives the dangerous forces hunting her. Her survival hinges on her friends—her friends and alpha shape shifter Alec Graves. Alec brings along dangerous enemies of his own, but Adri can’t get him out of her mind. Gorgeous, loyal, and compassionate—Alec is worth fighting for. But with both of them on the run and hundreds of miles separating them, things started out just this side of impossible, and they are about to get much worse. A new player wants to control Adri and they’re willing to go after the people she cares most about in order to force her hand. 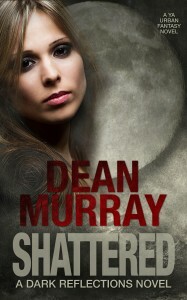 Get your copy of Shattered today! Adri Paige still feels like she and Alec Graves are meant to be together, but that requires she get past what happened in Minnesota. Alec’s actions cost her the most important people in her life, and that’s something she couldn’t forget even if she wanted to. If it was just up to Adri she would stay isolated and nurse her wounds, but the Coun’hij are marshaling their forces for another blow against the Resistance, and without her help more of her friends will die. Alec Graves finally has the power to overthrow the tyrants who’ve been oppressing the North American shape shifters for hundreds of years, but all it will take is a single misstep to destroy everything he’s been working towards—including what’s left of his relationship with Adri. His father’s reach extends further than anyone in the Resistance realizes and this time Kaleb is targeting Alec and Adri directly. 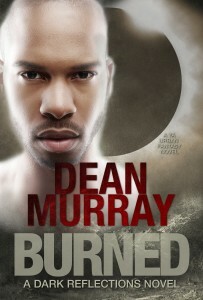 Get your copy of Burned today!